Over the last 15 years U.S. foreign policy has graduated beyond entry-level debates over whether “religion matters.” Tentative initial forays have given way to more sophisticated analysis of how to best to understand and engage the relevance of religion generally—and religious freedom specifically—in urgent matters of defense, development, diplomacy, and the foreign policy making process. 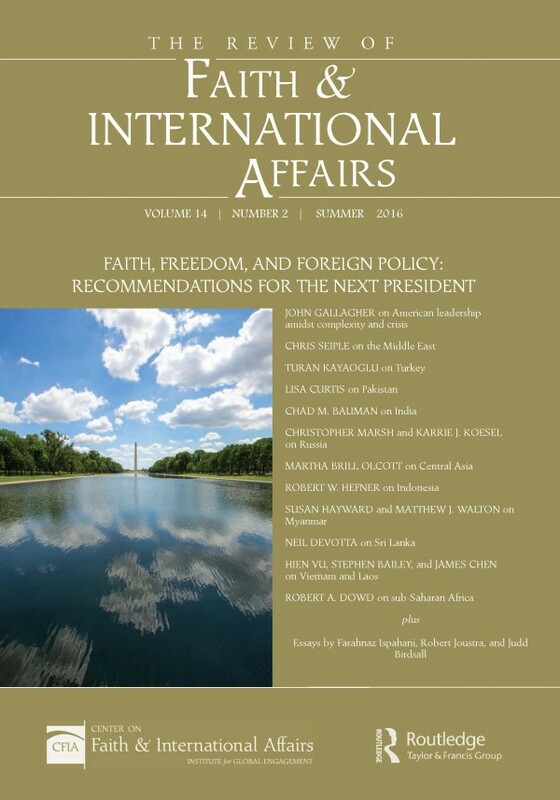 The summer 2016 issue of The Review of Faith & International Affairs is a special election-year issue featuring analyses and recommendations by leading experts. The issue aims to add to the next presidential administration’s acumen on some of today’s most complex global contexts that demand holistic, strategic approaches.